Wonder if you’ll be affected by this? The carrier claims that only the biggest data hogs will be affected–those who use 12 times more data than the average user. It will not affect anyone on the newer tiered data plans or 95 percent of users still grandfathered into ‘Unlimited’ data plans. If you meet this criteria use more data than 95 percent of AT&T users in a month, you’re connection speeds will be reduced for the remainder of the billing period. AT&T does not explain how much data speeds will be throttled, nor does it give users any ballpark or limit on how much data they can actually use in a month. Previously, 5GB was the unsaid limit on ‘unlimited’ data plans. 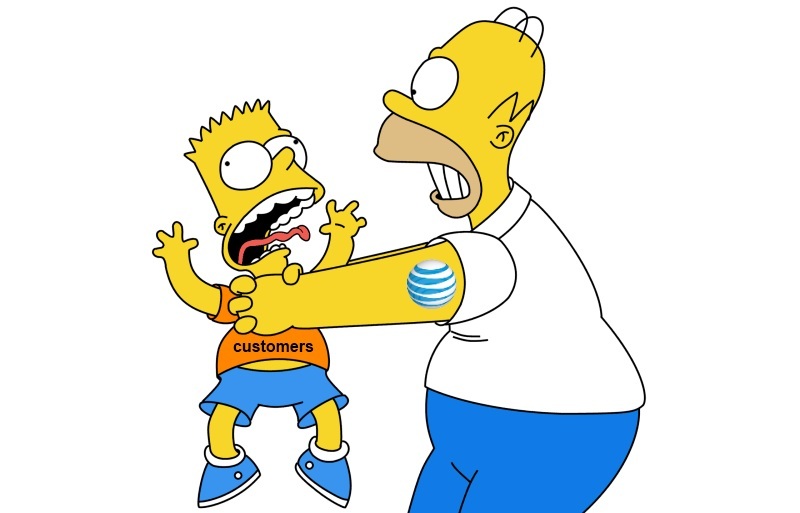 By failing to give users an actual data limit, AT&T allows itself the ability to begin throttling heavy data users at the very beginning of each month, not just at the end of the month, once they have exceeded a set limit. This policy is slightly different than T-Mobile, which recently began throttling its unlimited users after they exceed 2GB of data use. AT&T also made it a point to get a bit snarky at the end of the release, almost seeming to argue that it will have to continue to punish heavy users unless the Government approves its purchase of T-Mobile. So is this a real problem, or is AT&T simply making its FCC predictions a reality to help its chances? We really don’t know, but we do know that data continues to get more expensive, not less, in the wireless world.